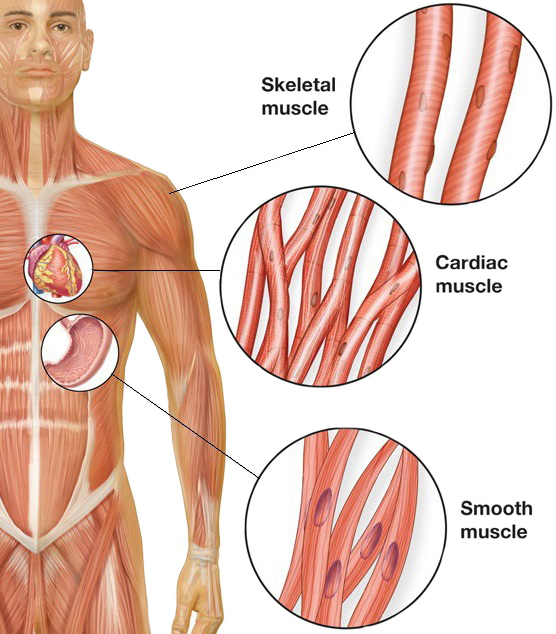 Smooth muscle cells (SMCs) are spindle-shaped cells found throughout the body in the walls of many organs that have contractile function. For example, in the intestine, SMCs contract to push food and waste through the intestine and out of the body in a process called peristalsis. In the blood vessels, SMC contraction helps determine vessel diameter, which regulate blood pressure and flow. In the bladder, SMCs are critical for bladder contraction, which allows us to urinate. When a pregnant woman goes into labor, SMCs in the uterus contract to allow delivery of the baby. In particular, SMCs in the walls of blood vessels are referred to as vascular SMCs and play many roles in maintaining vessel homeostasis and regulating blood flow. However, vascular SMCs are also under investigation for their proposed negative roles in cardiovascular disease and diabetes. Nanotechnology has been of great interest in medical technology as it offers the potential to deliver drugs directly to specific cell types. However, development of nanoparticle delivery systems has remained a challenge. Liposomal nanoparticle delivery systems are the major delivery systems currently under investigation, but are plagued by biocompatibility problems and cytotoxic side effects. In a previous study, Dr. Deidra Mountain’s research group at the University of Tennessee developed cell-penetrating peptide (CPP)-modified neutral liposomes that successfully delivered siRNA to vascular SMCs. In a new study this year, the group set out to optimize this CPP liposome delivery system using diacylgylcerol (DAG) and phosphatidyl serine (PS), which are naturally occurring lipid signaling molecules. The group first evaluated whether DAG-, PS-, or DAG+PS-modified liposomes could associate with Lifeline® human aortic SMCs or Lifeline® human aortic endothelial cells. These liposomes were also modified with rhodamine-PE, a fluorophore, which allowed the researchers to measure incorporation of the liposome into cell membranes. Compared to control liposomes lacking either DAG or PS, addition of increasing amounts of DAG or PS increased cell association at all molar percentages tested in both cell types. The greatest effects were observed with 10 mol% PS in SMCs and 15 mol% PS in endothelial cells. The effect of DAG on liposome association was not as great as that of PS, but did result in a linear increase of association in SMCs as the molar percentage increased. The effects of DAG on endothelial cells were not as straightforward, however: liposomal association with cells decreased with 15 mol% DAG compared with either 10 mol% or 20 mol% DAG. Furthermore, when 10 mol% PS was combined with increasing molar percentages of DAG, liposome association with SMCs increased over PS alone. However, DAG in combination with 10 mol% PS increased liposome association with endothelial cells over PS alone only at 5 mol% DAG. Importantly, addition of PS or PS and DAG to liposomes did not significantly increase cellular toxicity in either SMCs or endothelial cells compared with controls lacking PS or DAG. In fact, the combination of 15 mol% PS with 5–15 mol% DAG significantly decreased cellular toxicity; the same effects were not observed in endothelial cells. The authors then investigated whether addition of PS and DAG could improve the efficacy of siRNA knockdown of GAPDH. Their results indicate that PS- or PS+DAG-modified liposomes did not enhance GAPDH knockdown compared with control liposomes. Finally, the group found that PS-, DAG-, and PS+DAG-modified liposomes did not significantly affect liposomal diameter, homogeneity, or encapsulation efficiency, confirming that these modifications did not affect baseline liposome characteristics. Together, the results of this study suggest that PS- and/or DAG-modified liposomes improve the efficiency of liposome association with vascular SMCs and vascular endothelial cells without increasing cytotoxicity. Want more information about our SMCs? Check out our catalog and come back here to the blog every other week to learn more about our cells and culture medium! If you have used Lifeline® cells or medium in your research, let us know and your study could be featured here on the blog!